Jimmy Jia, the CEO of Distributed Energy Management, examines how to make consuming energy—even with higher prices—more of a priority for people worldwide. This caught my attention as I was sitting in my research lab’s weekly group meeting. I was a graduate student in Materials Science and Engineering, and a lab mate just presented some unexpected and interesting results. For most of the meeting, my professor and the student discussed the implication of this technology—how to validate it, how to replicate it, and how to scale it. As we were about to adjourn, my professor made an off-handed remark about how we should not be so serious in our work because factors outside our control will outweigh our proposed efficiency gains. Although he made the comment to lighten the mood, it has stuck with me for nearly two decades and is the guiding principle behind my work. Why does consumption increase as society progresses? Afterward I noticed examples everywhere. Year after year, society consumes more fuel, regardless of the success (or lack thereof) of the energy efficiency sector. Formally, this concept is known as the Jevons paradox. First observed by the U.K. economist William Stanley Jevons in 1865, he noted that although coal extraction efficiency increased over time, the overall consumption of coal in the U.K. also increased. Recently we have seen this with LED street lamps becoming a major contributor to light pollution. Cities used the freed-up money from LEDs to install additional streetlights in more sparsely populated areas of their communities. The net effect is a minimal change in city budgets for streetlights and many more lit roads. The reason for these paradoxes is that we have stopped asking why we are consuming energy. People make buying decisions based on the service level we receive, not on the technology being sold. When someone selects two-day shipping, it is because they want a better service. Saving energy, on the other hand, implies a worse service at a higher cost. It is very hard for a company to sell a worse service, even at a discount, just because the energy footprint is lower. For any business to succeed, the value proposition needs to solve a customer problem. We have forgotten how to ask what problem consuming energy is solving. Energy resources are critical to our society, economy, and quality of life. Consuming it gives us the ability to pump water to Los Angeles, run iron refineries in Australia, transport our waste to landfills, and keep our economy humming along. It is also a major source of uncertainty and risk to the environment. Politicians lose their jobs when resources are not managed properly (Carter, OPEC). Shareholders lose their value when resources are wasted (BP, Deepwater Horizon Oil Spill). 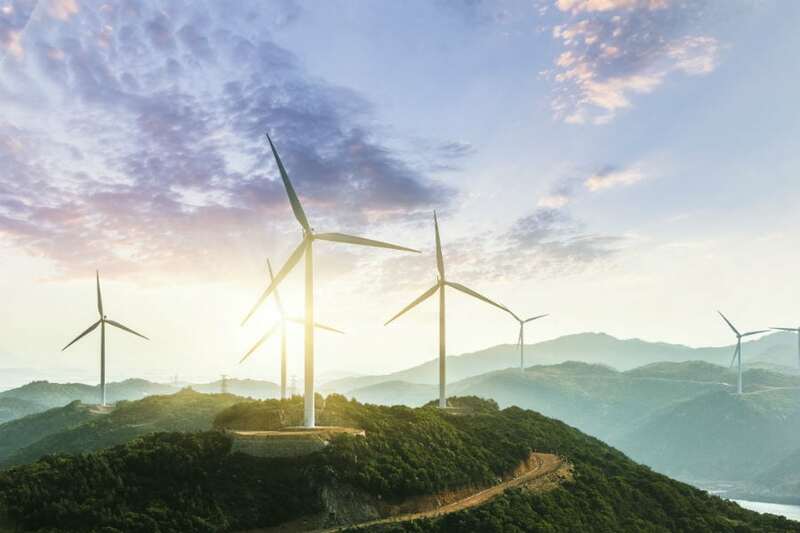 This represents a strategic opportunity for many organizations and businesses—how can executives improve their competitive advantage by reducing their carbon footprint? How can executives improve their competitive advantage by reducing their carbon footprint? In our “Innovative Leadership in the Energy Sector Theory” seminar March 22, we will debunk the commonly held view that energy is a technical problem with an engineering solution. We will study the successes of the leading companies, and create a systematic approach for reducing energy consumption and exposure to energy risks. We will examine how consuming energy actually changes societal wants and needs, as we can always be safer, more comfortable, and have more convenient solutions. We will question whether increasing energy consumption is a prerequisite for improving our quality of life. I am optimistic that the issues we face are manageable, and the solutions are practical. I am hopeful that executives and policymakers want to mitigate both short-term and long-term risks faced by their stakeholders and constituents. I believe that, armed with the right tools, decision-makers can optimize for highest value and lowest cost with minimal carbon. If we accomplish this, then we will move one step closer to reducing society’s overall resource consumption. Join Saybrook University for the “Innovative Leadership in the Energy Sector Theory” hosted by Jimmy Jia, the CEO of Distributed Energy Management. This six-hour course engages international, national, and regional leaders about successful leadership and energy efficiency. The event will be held from 8:30 a.m.–4:30 p.m. PST on Thursday, March 22, at 600 108th Avenue Northeast, Suite #230, in Bellevue, Washington 98004. Click here for more details.